This October, we are helping to celebrate Fair Trade Month by offering 10% off our Fair Trade Certified items on our site (no coupon code needed, buds!). Why it is so important that we focus on Fair Trade? We want to take a few minutes to answer that question and tell you why Fair Trade Certified products are so important to us and to our Earth! First off, what is Fair Trade? It is a partnership between producers, manufacturers, importers and consumers and a movement towards ethical and sustainable manufacturing. Fair Trade standards require that workers earn a living wage, no child labor is used, workplace conditions are safe and non-discriminating, and that the entire production process is socially, economically, and environmentally responsible. Compliance to these standards is certified by third-party auditors. • Fair Prices: Prices paid to manufacturers are fair for all workers involved. • Fair Labor: Factories and manufacturing facilities are safe and inspected. • Community Development: The workers’ communities are considered and might offer things like quality improvement trainings and organic certification. • Environmental Sustainability: strong sustainable farming methods. The Fair Trade system empowers individuals along the entire supply chain, and supports mindful business models that positively impact people and the environment. 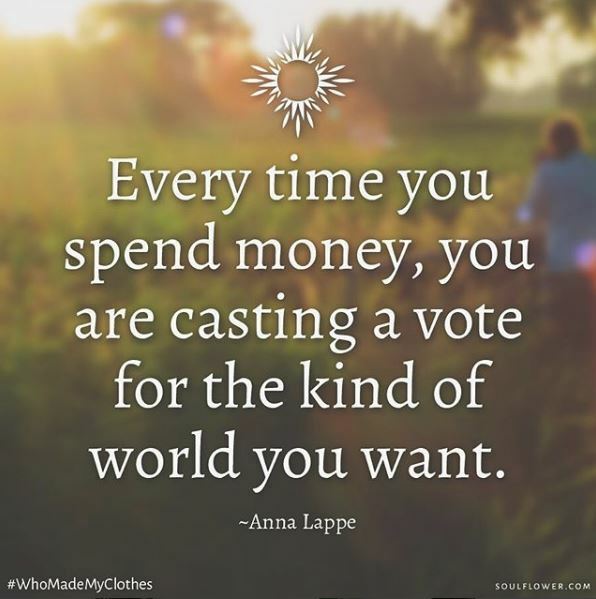 By shopping Fair Trade, you’re contributing to an entire community and ethical labor practices abroad. So even though we are encouraging you to celebrate Fair Trade Month this October, we really want you to consider purchasing fair trade all the time! What is this symbol on the Soul Flower site? 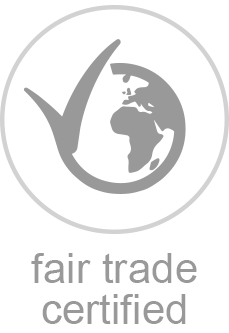 This symbol is shown on any of our products that are imported AND fair trade certified. These products have gone thru a third-party audit to be certified as Fair Trade, ensuring that the workers earn a living wage and workplace conditions are safe. You can read more about our fair trade certified products here. What else can I find out about ethical manufacturing and fair trade?